After B2B Company Conducted an Overall Planning for the Channel Resources, They Had 40% of New Potential Customers, How Did They Do? If B2B Company headquarters is the battle command center, its corresponding stores are the combat troops in the front line. Taking a rest in battle is important in preparation for the next battle. In terms of the overall planning of channel resources of B2B Company, rehabilitation is to further adjust and maintain the following channels. We share the solutions by using M, a customer of B2B who has a long-term cooperation with JINGdigital, as an example. M is a global diversified science and technology enterprise, which has produced tens of thousands of innovative products. It is very successful in core markets, such as medical products, highway safety products, office supplies and optical products. It provides goods and services to customers in more than 200 countries around the world, greatly changing the way people work and live. In the process of channel development and maintenance, it is impossible to take everything into consideration, causing sales of existing points to decrease sharply or inability to withstand lure of competitive goods or as well as a subversive situation. Manual order procedure is lengthy and tedious. Therefore, a long-term cooperative channel provided by an online platform is needed for automatic order. The company headquarters cannot control the channel information operated by the merchants and the terminal customer information. The Client has three types of sellers: sellers directly subordinate to headquarters, merchant sellers， and third-party cooperative sellers. The common purpose is to maintain existing stores and expand new stores as sales leads. 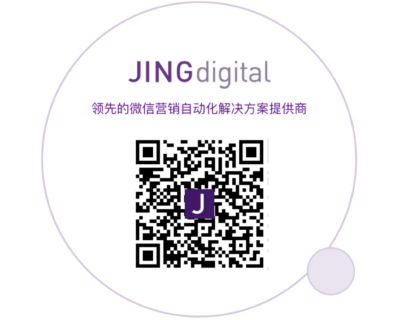 After cooperating with JINGdigital, the customer configures a WeChat QR code for each seller who will invite potential customers to scan the code and interact with the brand’s official WeChat. According to the different scenarios that the potential customers produce, the brand’s official account will send specific welcome trips to interact with customers. While further collecting information of new fans, the brand’s official account leaves a good impression on potential users, while greatly improving the fan retention rate of official We Chat of the brand. Through Step 1, the channel coordinator can clearly understand the multi-dimensional label of each newly-added potential customer in the backend of JINGdigital to implement uniform channel resource allocation. 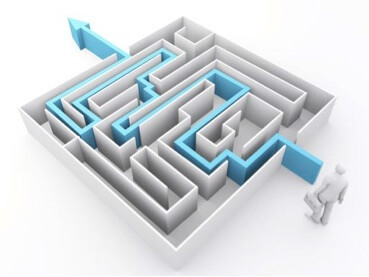 In order to maximize the utilization of internal resources and optimize the lead follow-up scheme, JING sales tool is used to bind the sales personnel to follow up on a potential sales lead. On the other hand, sellers communicate with customers through the WeChat public platform, which solves the problems that bind customers to individual sellers, and a non-guaranteed customer source. Within 2 months, after M Company sets a specific sales QR code and the corresponding welcome journey, fan retention rates will have increased by 100%. JINGdigital makes the WeChat public account become an instant message gateway between the brand headquarters and the sales networks. The headquarters sends the latest brand and product information to the front-line sales personnel in the form of graphics, text, and template messages through the WeChat public account also sending them to the stores through the JING sales tool 1: 1 for information updating. From then on, the idea that “the latest information of the headquarters will take a long time to be popularized to every store” has been avoided. In the meanwhile, the introduction text of products in WeChat also becomes the “ammunition deposit” for sellers to find potential customers. Using JING sales tool, sellers can provide targeted products to their customers according to their needs. Using this process, the conversion rate of WeChat fans to potential customers has greatly increased. Additionally, sales leads generated by WeChat public account have increased by nearly 40% in the 5 months since the event has launched. The order contents of B2B’s long-term partners are constantly repeated, but each manual operation takes substantial time. JINGdigital will connect the brand’s micro mall to the brand’s WeChat and set up an automatic dialogue service to guide users to find the entrance to the micro mall. Customer M’s long-term cooperation stores can complete their order online. At the same time, the store’s order information will be synchronized to JINGdigital, and combined with the previous data. Using the above process, the company grasps the end-user information making the user portrait clearer. The sales leads of the client increased by 40%, and its end-user information entry rate reach 70% within 8 months of the project’s launch. The above operation process helps B2B Company take into account both “development” and “maintenance” in the channel management process, enhance the loyalty with existing merchants and stores, while effectively developing new channels. Furthermore, this can prevent the sales volume from falling, avoid the lure of competitive goods, and help solve a subversive situation. More importantly, the company headquarters can master comprehensive information of channels and terminal customers.